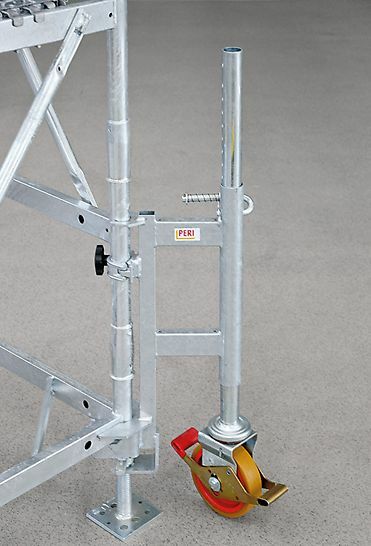 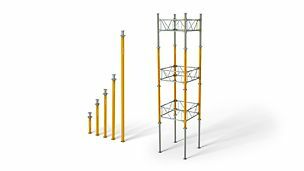 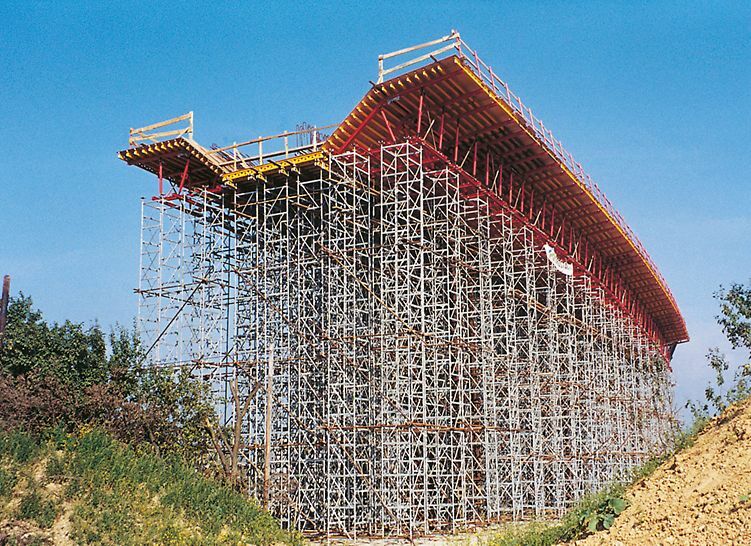 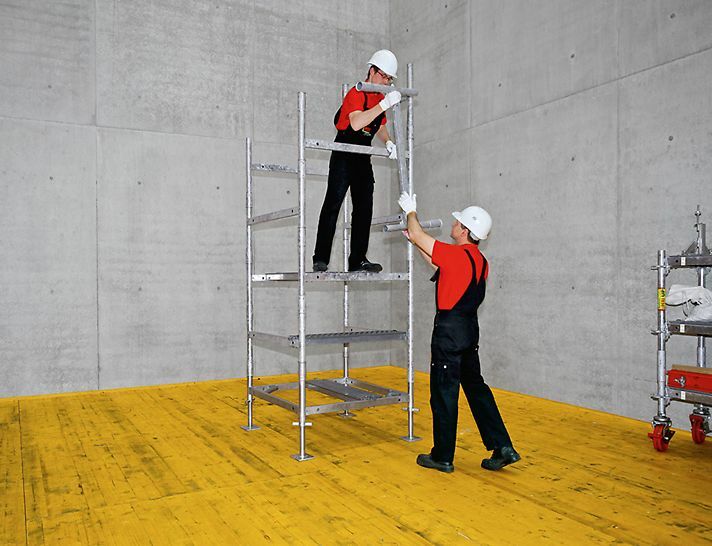 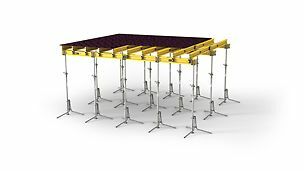 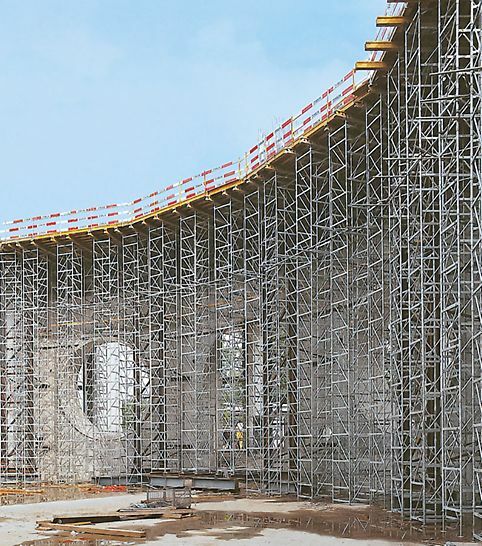 The ST 100 Shoring Tower has been designed for fast assembly and dismantling according to the stacking principle. 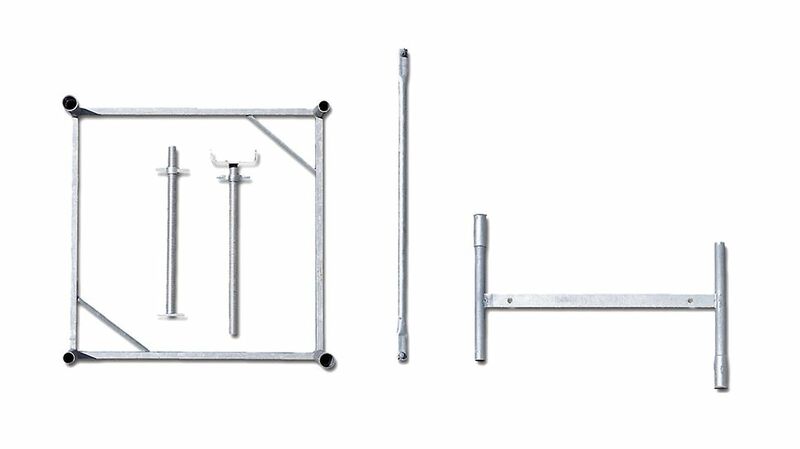 The individual frames are simply inserted into each other and offset at 90°; tools are not required. 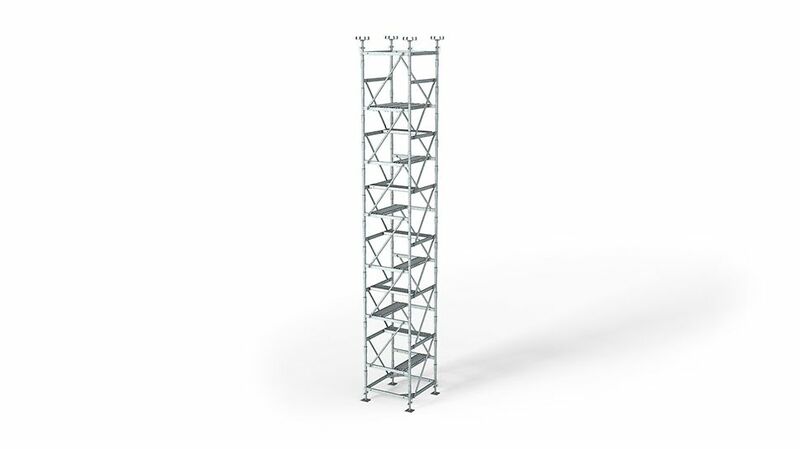 With a single frame type, all required assembly heights can be realized. 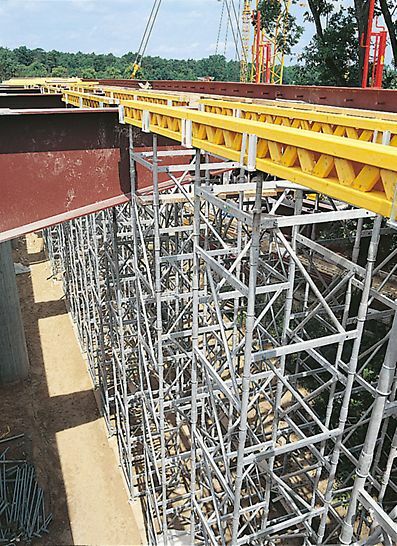 Diagonals ensure extremely tight connections for crane transport and during erection.